Brandon Iracks-Edelin has been a selected as a Newman’s Own Foundation Fellow for the Forum for the 2018-2019 cycle. Brandon will serve a one-year, full-time fellowship where he will support the Forum’s work in a number of key areas of member service. Throughout his time at Sewanee: The University of the South, Brandon took on multiple leadership roles and internship positions that focused on advocating sustainable change with social issues such as equity, diversity, and inclusion. He served as president of the Student Government and previously served as president of the African American Alliance. He received a Posse Foundation Full-Tuition Leadership Merit Scholarship for 2014-2018. 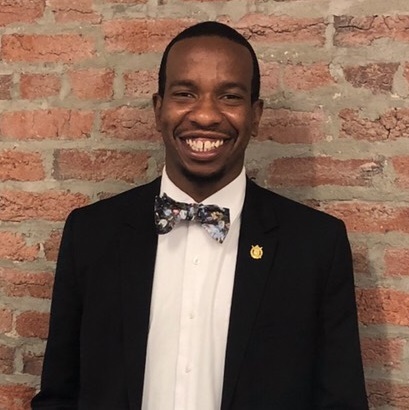 Brandon’s work as an undergraduate student sparked his interest in gaining a better understanding of how philanthropic serving organizations develop and operate. Brandon has attained his BA in psychology and earned his creative writing certificate.